Oh gee, who ever could have seen this coming? This is a truly unexpected outcome. If only we had someone who could have told Seattle that raising the minimum wage was going to be bad for businesses. I mean, how could this happen? People just want a livable wage, so how dare the market not comply? I rolled my eyes so hard I’m pretty sure I saw my brain. 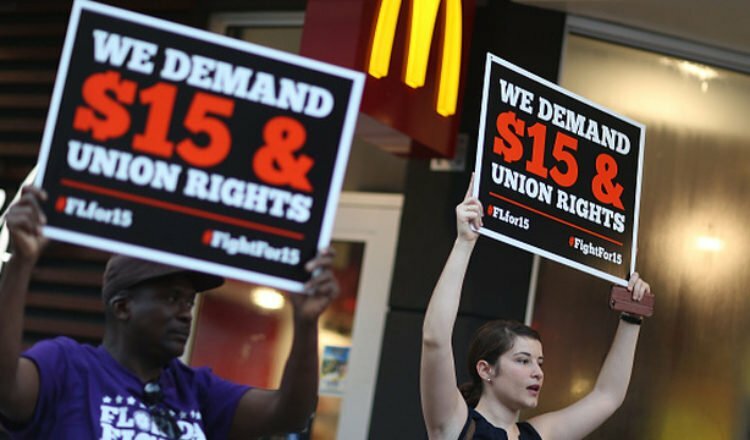 Seattle enacted a $13/hr minimum wage in January of 2016. According to research released by the University of Washington (not exactly a conservative place) the wage hike came at a cost: The decline of employment among low-wage workers and for those who managed to keep their jobs, a decrease in hours. The negative effects of this law had basically offset any benefits that might have been seen from an increase in the minimum wage. In fact, the people who pushed for this and needed it the most are making $125 a month less due to the wage hike. Unfortunately, this means that even those who didn’t demand an increased wage are forced to endure the loss of hours and pay. But it’s all for the greater good, right liberals? At some point these morons are going to be forced to listen to the people who actually know what they’re talking about, because they will have run out of options.